Only one budget later since 1977. And 46 other state legislatures are already done. Wisconsin began its new fiscal year (FY18) on July 1 without a new budget. This is not an immediate concern for most state residents: Sun, sand, camping, and fishing are far more appealing than arcane budget-speak and large appropriations. But the budget stalemate in Madison does raise a number of questions. What’s behind the budget stall? Is this typical? Are other states similarly hung up, or have they finished their budgets? Schools and property taxes are always central to budget debate, but the main sticking point in enacting a tax-andspending plan for 2017-19 is transportation, much as it was two years ago. A need to repair or rebuild aging roads coupled with stagnant gas taxes and related fees has been a state problem for over a decade. The current governor and senate (both R) oppose raising these highway-user charges, choosing instead to increase borrowing or delay road projects. Assembly GOP leaders prefer some form of added revenue; the Speaker recently told a radio audience that “it’s not conservative to borrow and spend” when the resulting debt costs now consume over 20 cents of every gas-tax dollar. The legislature’s bipartisan, budgetwriting Joint Committee on Finance (JCF), comprised of eight senators and eight representatives, begins review of a governor’s proposed budget in February. Work is usually completed in late May or early June. Floor debate in the two houses follows, and the budget then returns to the state’s chief executive for final action. In recent years, the budget process has been predictable, as one-party control—first Democrat, then Republican— prevailed. Timely passage of a state tax-and-spending plan has been a source of pride for majority-party leaders eager to show they can govern. Looking back . . . over the past 40 years, however, the pending budget is already one of the latest. Since 1977, JCF has acted on 20 biennial budgets, passing them in May, three times; June, 14 times; and July (7/2/15), once. The committee also acted on the 1995-97 budget by June, though the committee didn’t approve the transportation portion until October. The 1997-99 budget cleared the committee in September. In the latter two cases, party control of the legislature was split. Other states. Compared to other states this year, Wisconsin’s budget is also behind schedule. As June ended, legislatures in 44 of 50 states had approved budgets. Two of those awaited final gubernatorial OK. In the remaining eight states, including Wisconsin, budgets are still pending as July fiscal years begin. But, unlike in some other states, a late budget here does not pose an immediate problem. Government programs continue to operate at prior-year levels. 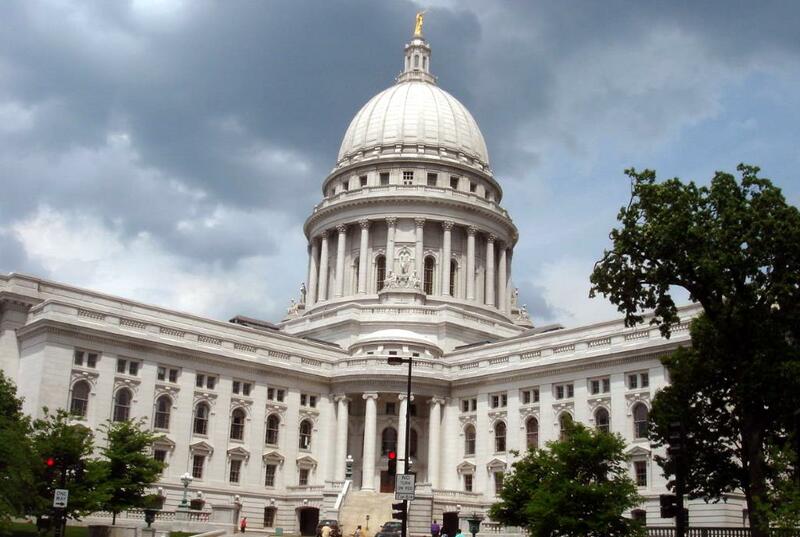 For more information on the budget, with comparisons of state spending and savings to other states, subscribe to Focus, published by the Wisconsin Taxpayers Alliance, 401 N. Lawn Ave., Madison, WI, 26 times per year. Subscriptions are $44 for one year. WISTAX contributors of $85 or more receive a free copy.